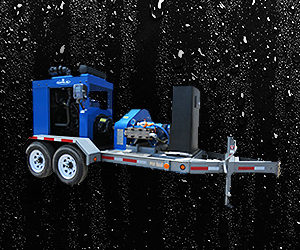 Certified Pre-Owned Water Blasters - Blasters, Inc.
Blasters, Inc Certified Pre-Owned (CPO) Equipment offers a brand new way of looking at used equipment. At times, prior to the start of any project, consideration may need to be given to availability, upgrades, or economics. With our CPO program, we have the ability to meet the needs for any project. 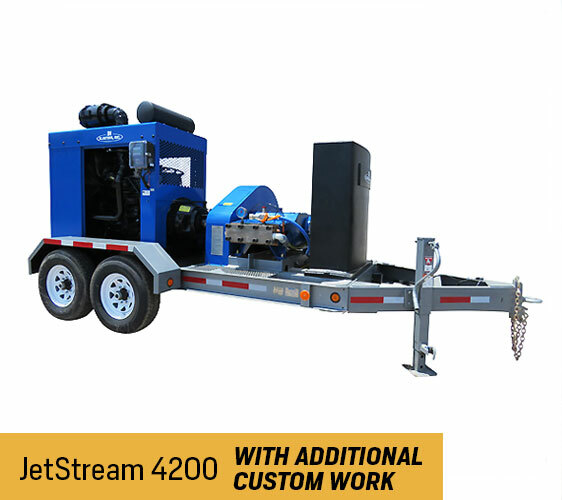 Our water blasters are high-quality machines that have been inspected, refurbished, serviced and supported by Blasters, Inc.’s well-trained team and meet our top-notch standards. Although each one is different, each has been certified for reliability, durability, and performance. 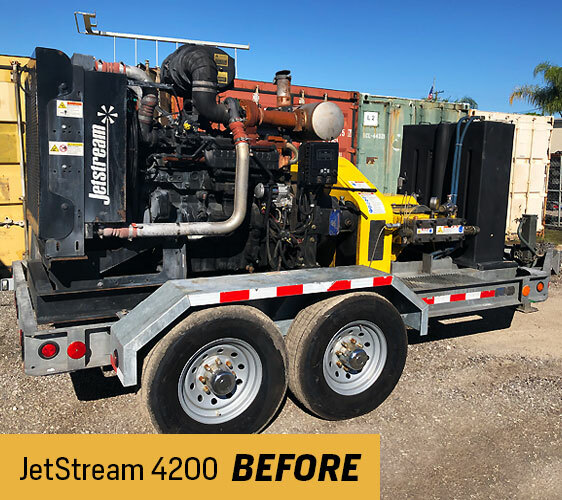 During our 140 point refurbishment program, all of our equipment is inspected and refurbished to Blasters’ factory standards. After the completion of the unit, it is fully tested and certified by one of our factory technicians running at its designated full pressure and volume. Once completed, the water blaster is ready for use and detailed for shipping. 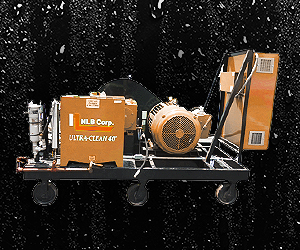 Our used inventory includes water blasters manufactured by NLB, Jetstream, Husky, and Gardner Denver and all are supported by our fully stocked parts and accessories department. This gives you the flexibility to choose the unit that best fits your needs. We also carry a full line of CPO equipment including guns, lances, tips, nozzles, and much more. Prior to shipment, a complete owner’s manual is included for easy reference to all parts and water blaster operation. A thorough inspection of all the equipment including engine, pump, trailer, and accessories. It is a question we hear every day when discussing our Certified Pre-Owned Equipment product line. 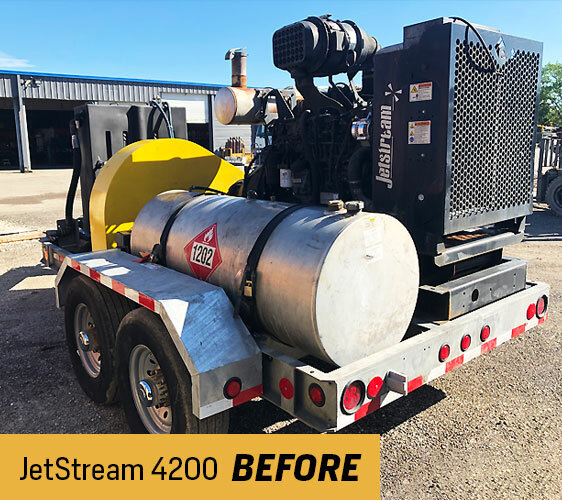 There are many different levels or thoughts when it comes to refurbishing a piece of equipment. To some, it could mean cleaning the unit and a fresh coat of paint. At Blasters, we believe in something different. When a unit is received, it is fully inspected by our factory trained production team. If possible, the unit is started and tested to determine its pressure and volume. Everything from the engine, power and fluid end, trailer, tires and brakes are inspected and tested. After a water blaster has been selected for refurbishment, our thorough 132 step refurbishment process begins. The entire system is dismantled and each component is sent to its designated department for inspection. 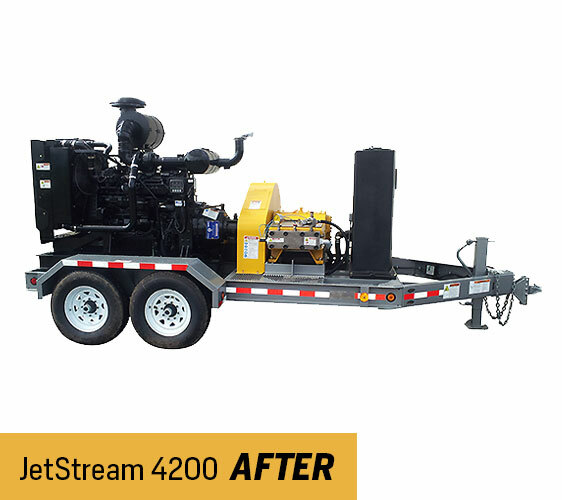 If any part of the water blaster, diesel engine or electric motor, or trailer needs replacing, it is replaced with factory OEM parts of that manufacturer. Each component of the unit is restored back to factory condition using their guidelines. 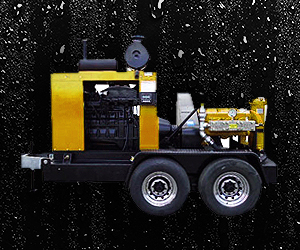 Being in the industry for 41 years and operating as a contractor, Blasters understands that this type of equipment needs to work all the time, every time. We back our equipment with a limited warranty to give you “peace of mind” when purchasing from our business. 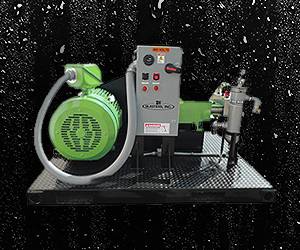 Blasters, Inc. has a quality pre-owned refurbishment program our resale pumps go through. It gives you the customer, complete confidence in the quality of the product. Please find below some of the items we focus on during this rigorous process. Change connecting rod journal bearings. Utilize “Dial-Indicator” to measure End-Play and shim accordingly. Hospital clean complete power end. Inspect cross head assembly, plunger adapters and seal holders & replace seals. Replace packing and brass rings. Inspect plungers for scoring or pitting, replace as necessary. Inspect discharge and suction valves, replace as necessary. Inspect all other fluid end wear parts and replace as necessary. Change out rupture disc and high pressure gauge as necessary. Inspect all hoses and belts for excessive wear. Inspect fan and associated bearings. Inspect operation of shutdown systems and associated gauges. Thoroughly go through electrical system. Ensure brakes and lights are operational. Inspect tongue and coupler, rebuild if necessary. Belts adjusted with computerized belt tensioning tool. Video clip from all angles of unit operating at pressure and full volume emailed prior to shipment. Unit will be tested at full load for one (1) hour of continuous operation prior to shipping.